The Model 12 is an further integration if the Model II. The enclosure is white, a bit lower, but has a larger footprint. 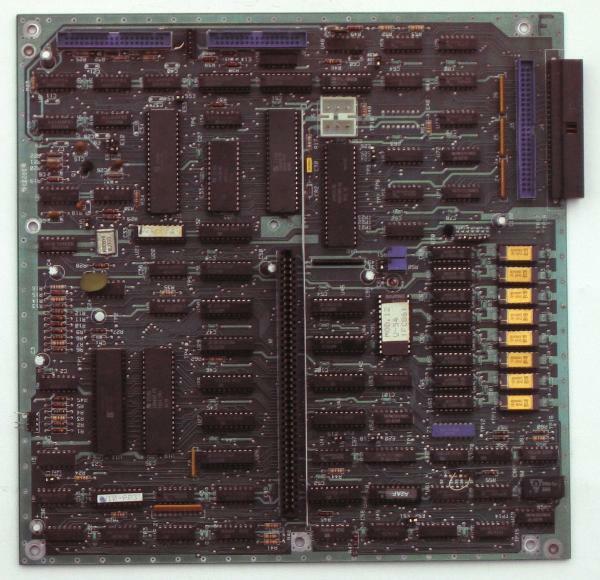 Where the Model II had four boards for basic operation, the Model 12 had three integrated into a mainboard. The enclosure had room for a 7-slot card cage, but it is not part of the standard machine. The disk drives in the Model 12 are not running continuously like in the Model II, so this can create problems with using Model II operating systems with the Model 12. The TRSDOS 2.0b was especially modified for this (and using a higher track step rate). Another feature are the double sided disk drives. Video/keyboard interface The Model 12 video/keyboard interface board is very similar, but not the same as that of the Model II. Main board Three of the the four boards in the model II are part of the main board. Only the Video/keyboard board remains separate. The slot for the Video/keyboard card is in the middle. 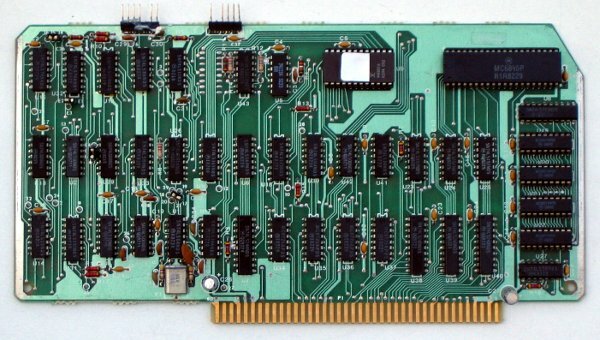 New is the usage of an FD2793 floppy controller, where the Model II used an FD1791. If a card cage is installed, it uses the card slot and the Video/keyboard card moves to the card cage. A standard Model 12 has 80K (one bank of 64K and another of 16K). I've discovered during testing that the standard U50 (a FPGA) allows 128K on board. The upgraded U50 allows the lower bank to be swapped out instead of the upper bank. The Tandy 6000 Service Manual refers to this as "CPM Operation". If you perform the mods listed for the Banked CP/M Plus upgrade in the Technical Bulletin (TB 12/16-???) with the exception of changing U50 you still end up with 128K RAM but Banked CP/M Plus won't work. The Model 12 uses a different capacitive keyboard technique, making is sleeker than the classic Model II keyboard. Alas the mechanical parts used did make it less reliable over time. 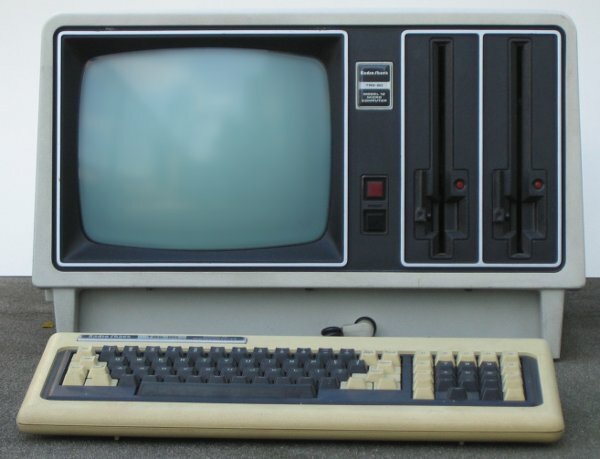 Also the way of connection changed: the Model II had a cable fixed to the computer and a connector at the keyboard, the Model 12 has the more customary way of a cable fixed to the keyboard and a connector at the computer. Also the wiring changed, but the protocol is the same. So you need a special cable to connect a Model II keyboard to a Model 12 (like when your Model 12 keyboards doesn't work). Note that the pin numbering of the DIN connectors is not regular, the pins 4 and 5 were later added between 1,2 and 2,3 respectively (originally for the second stereo channel for audio equipment).